He followed it with another one. 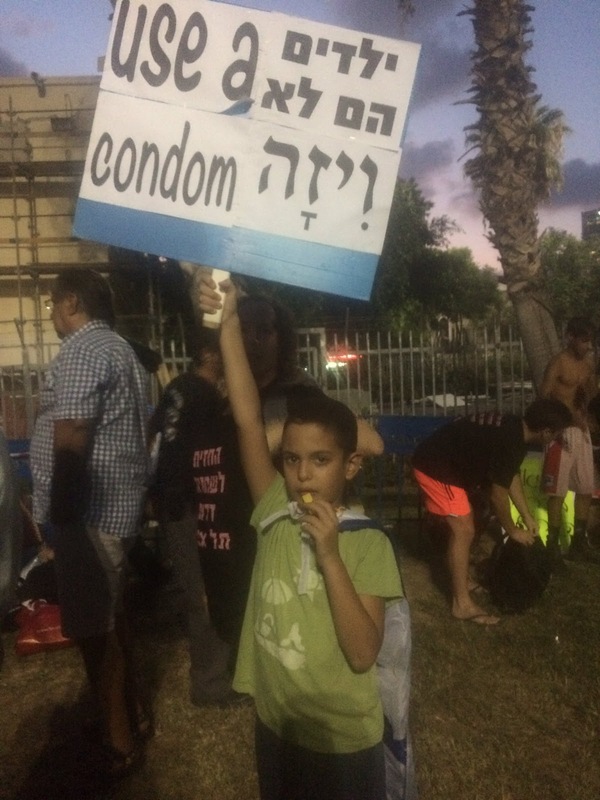 "This kid's mom had him hold this sign up to discourage African refugees from reproducing." I tweeted a response: "Quite an image, for all the times I hear about Israelis being white"
And another, a while later: "It's funny, I got a lot of profile clicks, obv. people wanting to get in my face because I'm a Zionist. Then they see I'm not."